I have been abnormally excited for today for at least two full weeks. Today is a special Wednesday, though. And no, it’s not my birthday. Though, incidentally, my birthday does fall on a Wednesday two weeks from now. It was so glorious. Obscenely glorious. So anyway, I obviously needed to go all out to celebrate the premiere. A little too healthy, I know. I was thinking of serving roadkill, but they were all out at the market. 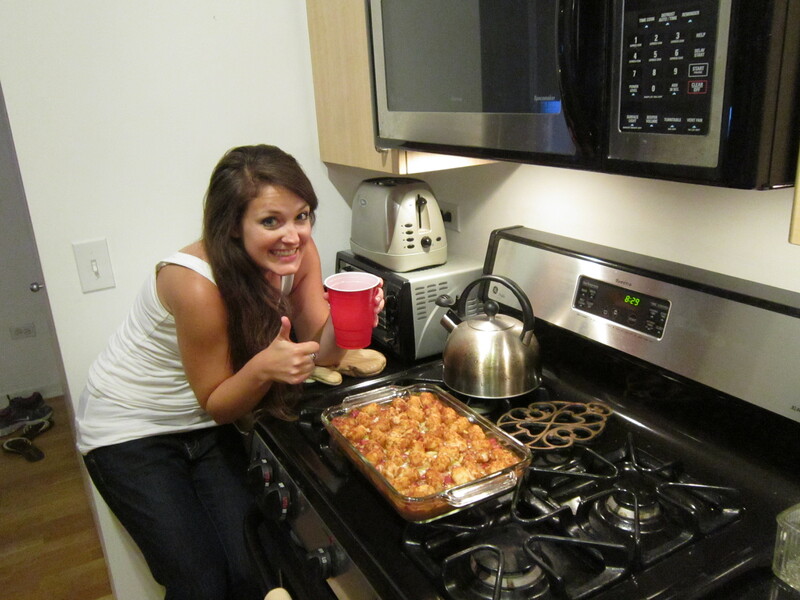 But I did make the most, ahem, low-brow version of tater tot casserole that I could muster without causing the elastic on my sweats to bust. 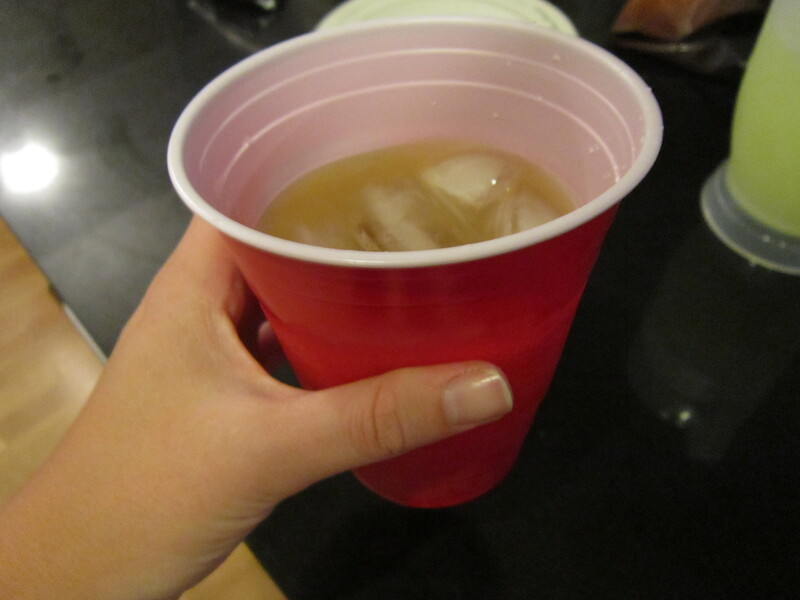 Oh, and I made sure to serve some drinks in red solo cups. Obviously. 2. 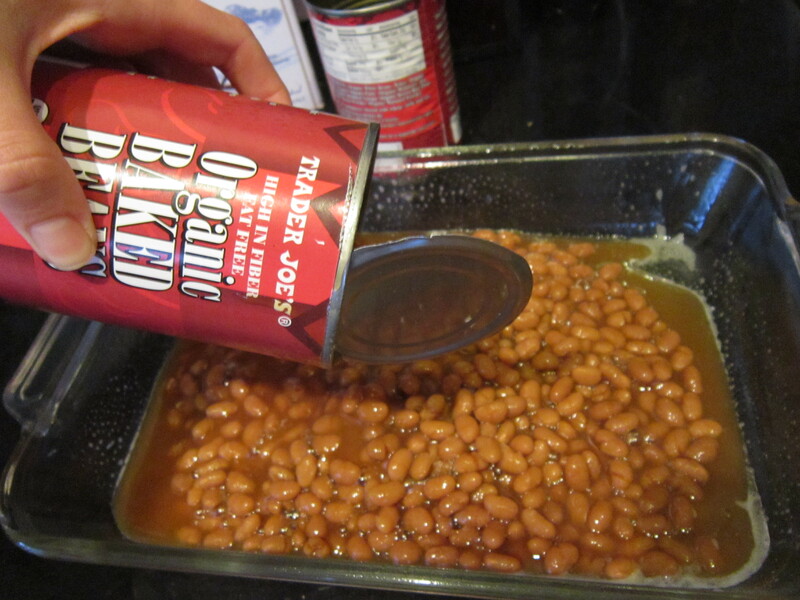 Spray a 9×13 inch baking dish with cooking spray. 3. Chop hot dogs lengthwise, then lengthwise again and chop. 4. 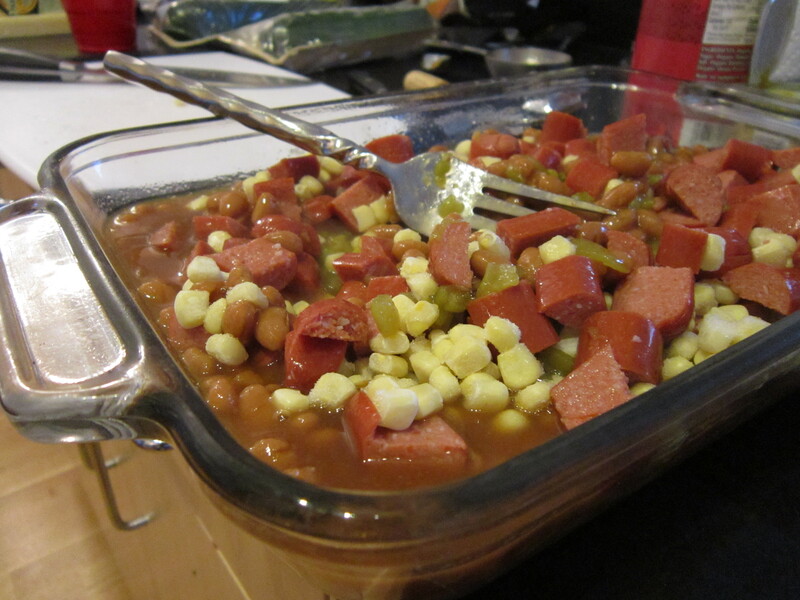 Place hot dogs, beans, corn, and chiles into the baking dish and cover with 1/2 of the cheese. 5. 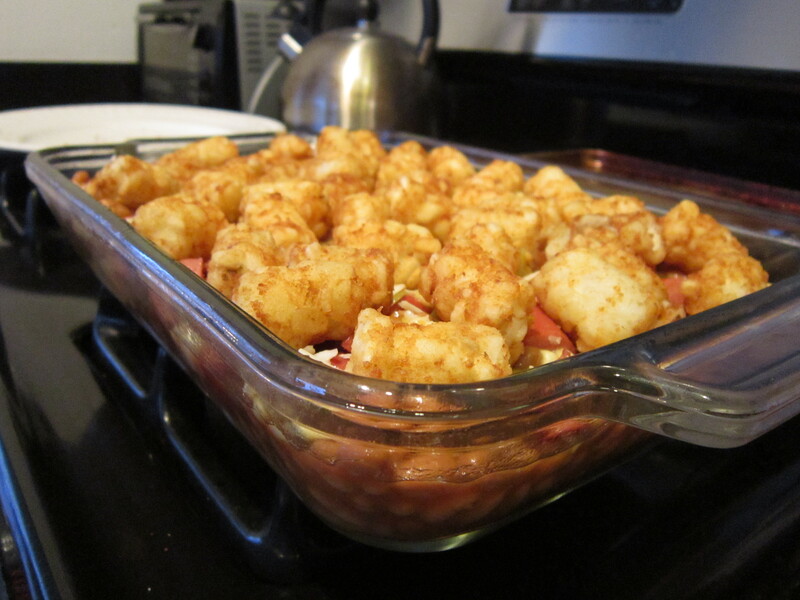 Evenly distribute tater tots over the dish and place in the oven about 25-30 minutes until hot. 6. Sprinkle remaining cheese over the casserole and place back in oven until cheese is bubbly. I’m gonna sit right here and tell you that this comes in under 400 calories per serving, which leaves ample room in your tummy for some Go Go Juice. And it’s basically a balanced meal. Ok…so that’s probably a bit of a stretch. But I’m pretty sure Honey Boo Boo would be proud. You know what they say…when in rural Georgia! Oh my god..too funny. So I grew up on a different version of tater tot casserole that included ground turkey burger, can of corn, campbell’s nacho cheese, and tots…rice if you needed more starch..ha! Best random dinner outburst ever. 🙂 I wish I had leftover tot casserole for lunch today. Seriously. I could get used to eating like Honey Boo Boo…Minus the orange cheese balls. Those I just cannot do. P.S. Have you chosen your ring tone yet? But wow, no cream of something soup in a casserole! Definitely healthy! I’ve heard the talk about this show. B does not need to find out about it. We’re already booked up with Teen Mom and Hoarders…. LOL! Homegirl has some serious SASS! Literally just can’t even start with how much I am obsessed. To say I was shocked when I learned Honey Boo Boo existed the other day (saw her on Fox News) is an understatement. I remain speechless on the topic! !